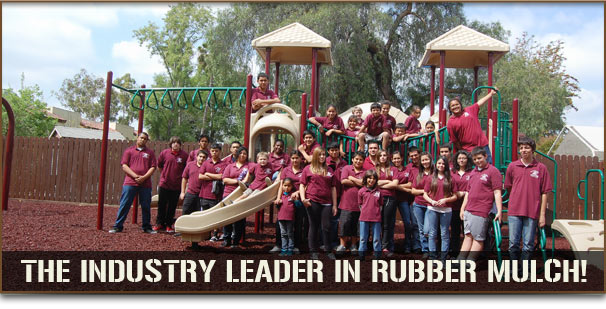 Rubber Mulch & Playground Rubber Mulch in Illinois | Rubber Safe Playgrounds Inc. Protect your most important asset, your children with Rubber Safe Playground material. A long lasting low maintenance mulch made from recycled rubber tire sidewalls. Lasting over many years it becomes the lower cost way to have great protection. The ultimate safety net for your child’s protection on the playground. When it comes to our children playing on the playground, we have a lot more to worry about than just wondering if they are having a good time. Playground safety is a top priority among parents and schools. We want our children to have a good time and ensure that if they do fall on the ground, the impact will be gentle on their little bodies. Here at Rubber Safe Playgrounds LLC we supply our customers with one-of-a-kind rubber mulch. Our playground mulch is unlike anything else. It is easy to maintain, durable and will provide the necessary cushion for your children on the playground. We provide a variety of colored rubber mulch that is sure to match the colors of your playground. We can supply to residential customers, schools, towns and other organizations that have playgrounds throughout many different states around the country, including but not limited to Indiana, Illinois and Michigan. Some of the benefits of using shredded tire mulch are: it’s clean, it’s buoyant like a mattress, it needs little or no maintenance, it has no odor, and it’s extremely resilient. With our mulch, you will be able to pay more attention on making sure the children are having fun, rather than worrying about how to keep your mulch in good shape. We hope you will consider using our rubber mulch for your playground surface. With little maintenance and great benefits, you can’t go wrong with using our product. Our shredded tire mulch is easy to put down and that’s all the work you will have to do. We offer great prices and customer service. We look forward to doing business with you and helping to keep our children safe.